Japanese carmaker Nissan which operates in India as “Nissan India” is celebrating 5th anniversary of its hatchback Nissan Micra by introducing Limited Edition Micra X-Shift along with the unveiling of new Micra XL CVT. Micra XL CVT variant is priced at Rs 6.34 lakhs (Ex-Showroom Delhi) with similar features and specifications as that of current Micra XL variant with CVT transmission system replacing the manual gearbox. Nissan India announced that only about 750 units of Limited Edition Micra X-Shift would be introduced to market. The limited edition Micra XL comes with a bit of cosmetic change with similar features as that of Micra XL. Talking about the design aspects of the car, Limited edition Micra XL gets chrome finish exhaust pipe, matte black wrapped roof, black side decals, reverse parking sensor, LED scuff plates as well as the steering wheel which is borrowed from Nissan Sunny which features audio controls on top of it. When we talk about new Nissan Micra XL CVT, the automatic gearbox was offered only on the XV petrol trim. With the launch of CVT gearbox on the base variant, Nissan is planning to cash on the rising demand of automatic cars in India. 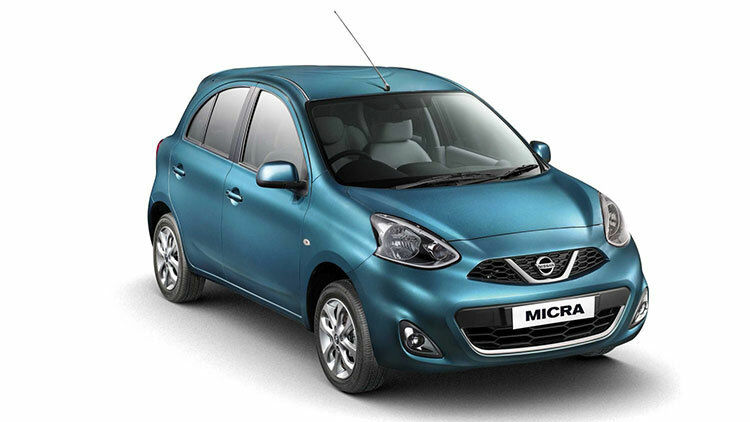 The XV trim of Nissan Micra with a CVT gearbox is priced at Rs 7.05 lakh (ex-showroom, Delhi).